4) Sell well and high quality. 5) All-round process: filing, weighing, sealing, cutting and counting etc. It is used to pack sauce-like and paste substance in food industry like honey, medicine industry and chemicals industry, etc. 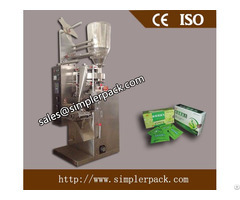 1.The machine can automatically perform bag-forming, measuring, filling, sealing, cutting and counting. 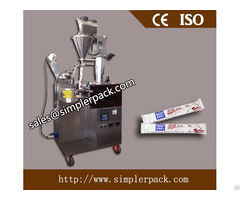 If necessary, it can equip with other devices like the batch number printer according to customer’s requirement. 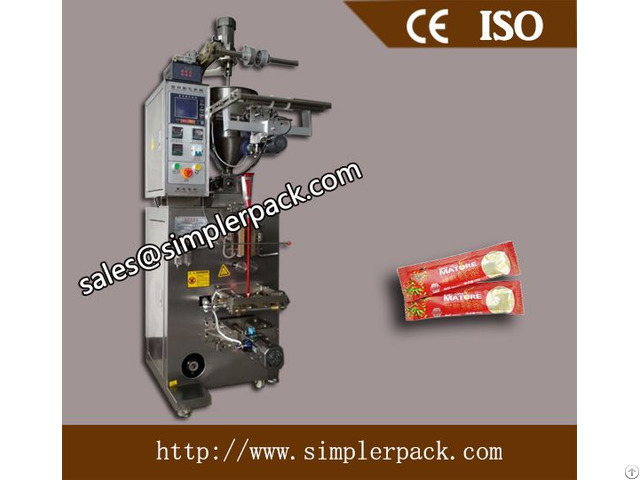 2.The machine adopts advanced PLC microcomputer control system, and installs drive stepper motor to control the bag length, with stable performance, simple adjustment, accurate detection. 3.The machine use intelligent temperature controller, PID regulator, ensuring to keep the temperature error under within below 1 ℃. 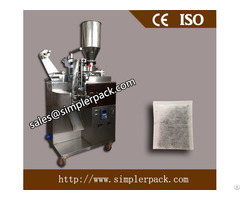 4.The machine uses 3 sides sealing.